The New Zealand Scottish Regiment was first raised in 1939 as an infantry territorial unit where all members had to be of Scottish descent. In 1949 it was reformed as the 1st Divisional Regiment (RNZAC), a mixed regular and territorial force unit and later 1st Armoured Car Regiment (NZ Scottish), with RHQ and B Squadron in Wellington, A Squadron in Auckland, C Squadron in Dunedin and D Squadron in Christchurch. 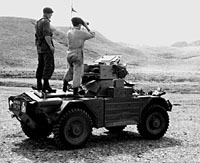 Initially it received Daimler Mk II scout cars and Wheeled Carriers, while later Daimler Mk II armoured cars were added to its inventory. 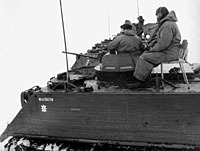 The Wheeled Carriers were phased out in 1955 and the Daimler Mk IIs in 1959. 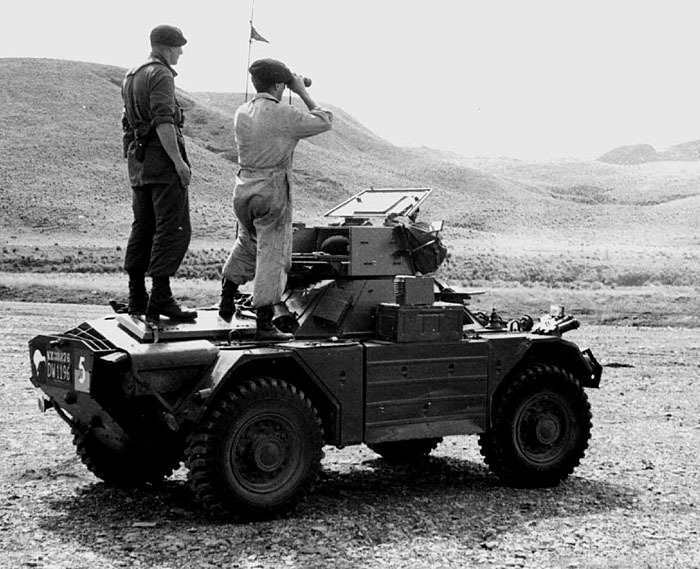 In 1963 it was reduced to two reconnaissance squadrons, 1 Reconnaissance Squadron (NZ Scottish) in Burnham and 2 Reconnaissance Squadron (NZ Scottish) in Dunedin, the former was equipped with Ferret Mk II scout cars and the latter Landrovers. 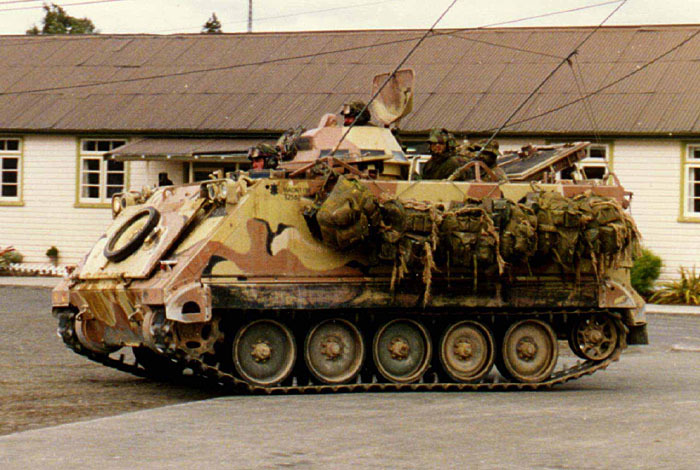 In 1979 the two squadrons were renamed 1 and 2 Scots, the former becoming an APC squadron equipped with M113A1 personnel carriers and the latter a composite squadron until it too became an APC squadron in 1975. In 1982 2 Scots became an anti-armour squadron and then in 1990 was retitled New Zealand Scottish. At the same time 1 Scots was disbanded and the regular force components amalgamated into Waikato/Wellington East Coast Squadron. 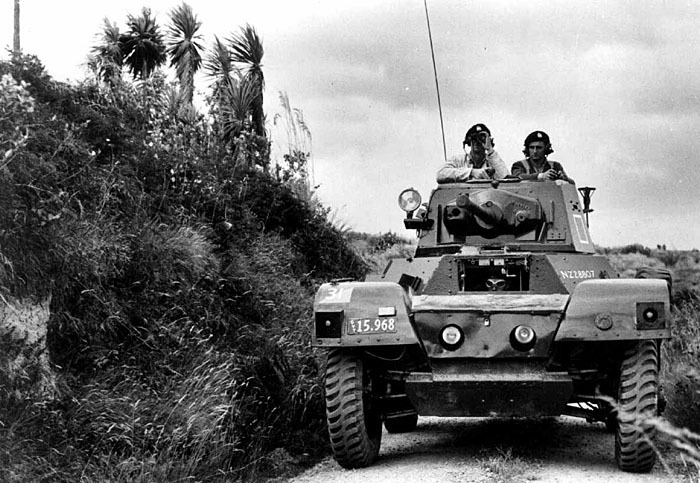 A Daimler Mk II armoured car (NZ28807) of B Squadron 1 Armoured Car Regiment during a training exercise in the 1950s. The vehicle was completed in overall bronze green and the tac sign consists of a square red over yellow divided diagonally and the unit serial number was 31. The B Squadron insignia was white. A Daimler Mk II armoured car of D Squadron 1 Armoured Car Regiment during annual camp at West Melton, Canterbury in 1959. The vehicle is completed in a two-tone scheme of bronze green and mid-brown. It also carries the Kiwi formation sign, which was introduced around this time. 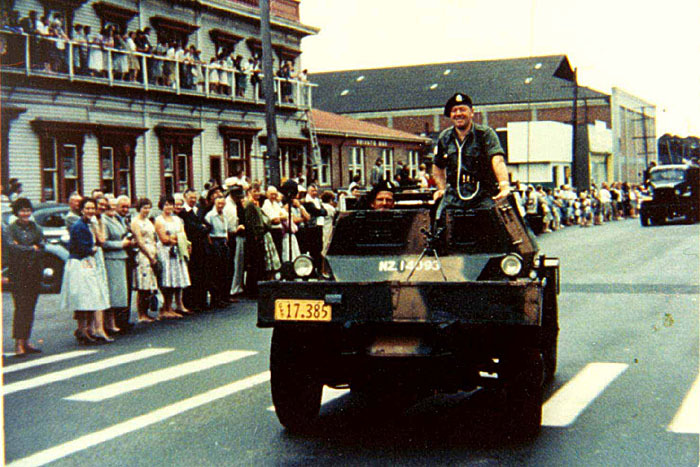 A Daimler Mk II scout car (NZ14093) about to enter Addington Barracks on Lincoln Road in Christchurch during a parade in 1962. It is camouflaged in bronze-green and mid-brown. An M113A1 APC (NZ33170) of 1 Scots in the snow at Tekapo in 1977. The vehicle was completed in olive drab overall. The tac sign was still 5 in the red over yellow square. 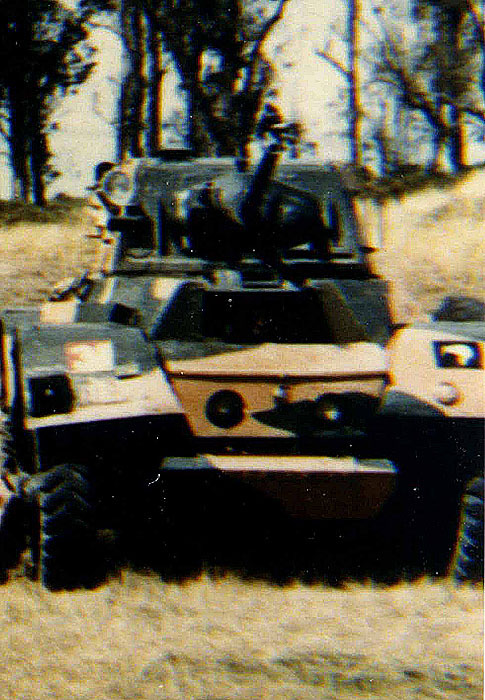 1 Scots vehicles also had a stylised cap badge on the side with the letter 1 inside and named their vehicles with Scottish names, such as this one MacBeth.